I am a graphic designer, but these days running my business means doing everything but design. 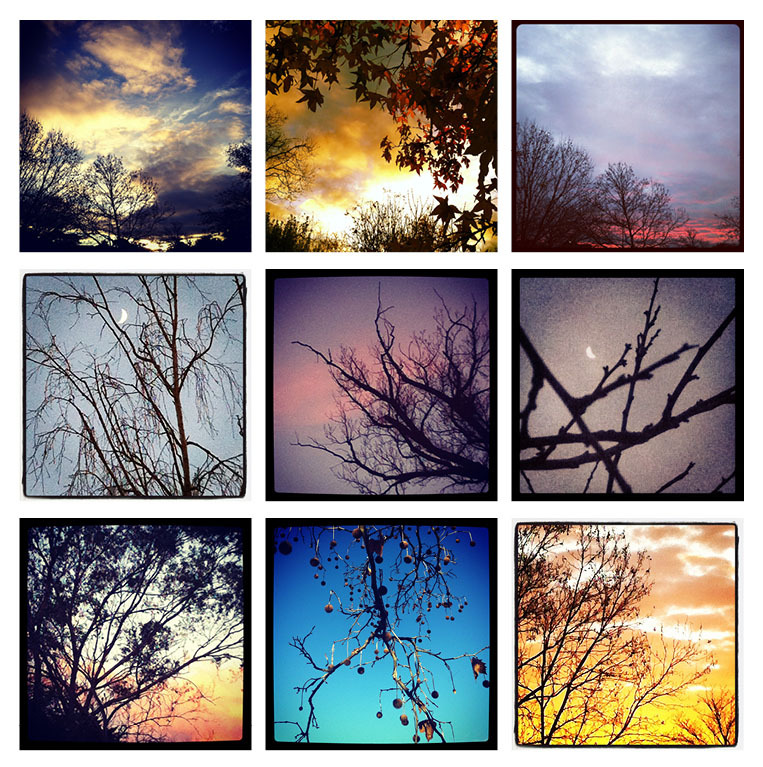 To stay inspired and maintain some form of creativity I’ve discovered ‘Instagram’. I’ve always enjoyed taking photos and I’ve found the perfect medium to do this with my iPhone, whenever and wherever I happen to be. Instagram has some simple editing choices to change the look and feel of the image without going too far. Some basic lighting effects, a blur, and a few frame choices to finish the photo – then you share your image with your followers! I love that I can view images taken by people all over the world. There are some amazing photographers who have mastered this medium with a snap of their phones. I am inspired by real home style images of other countries, cities and people that are not glossed up for the tourist industry. I particularly like taking photos of the sky because it’s an ever changing canvas of colour, light and movement that never bores me. The Papercut team had a planning day a few weeks back that was spent at the lovely Olims Hotel in Ainslie. The whole day was devoted to creating a vision and purpose for the business and setting some major goals. One of the ideas that came from the day was a team inspiration session every week. Currently a team member is responsible for the house duties each week and part of this is to provide afternoon tea. Last week it was Tamar’s turn and she provided home baked chocolate cake (gluten free) and coloured textas to draw pictures – using the Samitomoto drawing game. The cards are such fun allowing an easy transition into drawing. As you throw the dice and turn over each card you reveal another word to form the image. 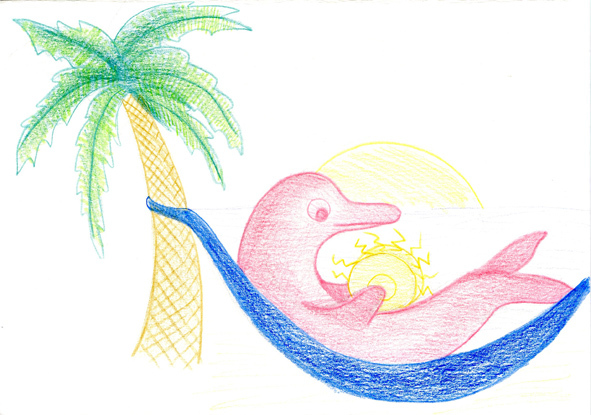 The first drawing we all did was that of a ‘determined purple snail drinking tea’ and the second was ‘a noisy hot pink dolphin in a hammock’! 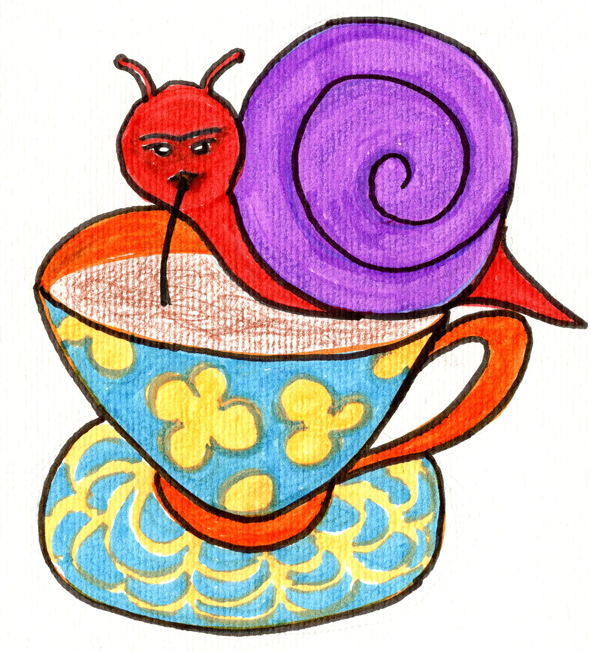 After our initial inhibitions, we finished up laughing and sharing our silly drawings and feeling very relaxed. We enjoyed so much this creative process that took us away from our computer screens, that we agreed to make it a weekly event. I think wine and cheese on a Friday afternoon would work equally well. It’s very important for designers to have regular creative time out. Another idea that stemmed from the planning day was to take a two-hour block once a month where we down clients work and produce an inventive piece, purely for creative indulgence, with no limitations or restrictions. I believe a US design company started this idea and called it the ‘Fedex hour’, so everyone has to deliver in the given time frame, but there is no brief so you can go creatively crazy. This is the sort of stuff that keeps our designs fresh and nourishes our creative right brains. If we allow ourselves to be inspired and free to imagine, then when we come back to our computers we can continue on because we’ve had a creative fix. Red means danger. Blue means creativity. Green is nature. “Red means danger” is drummed into us at an early age. Why don’t we use red ink for medication warnings, or better still, enclose medications in red packaging? And if blue signals the freedom of open skies and unlocking creativity, shouldn’t we be brainstorming in a room painted blue? What other subconscious behaviours are consumers displaying? Consider your corporate colours and decide on whether they evoke the expected response. Think of how an accounting firm would be portrayed by using bright yellow and red in their brochures and on their website, as opposed to using black and silver, or navy-blue and white. Your chosen colours may not be sending the right message! We can’t escape colour. But does colour really affect our behaviour? Researchers claim that people feel more relaxed in green rooms and weightlifters train their hardest in blue gyms. Colours also play a significant part in our decision-making behaviours. Colour psychology is a marketer’s dream. When marketers carefully weave the right colours into product displays, logos, advertising materials and websites – there is a subliminal effect on a customer’s purchasing decisions. One thing to consider is that colours mean different things in different cultures. White means purity, right? Actually, the colour white signifies death in China. Before you build your website, or think of designing a brochure, ensure that you consider your target audience first. If you can define your target audience, then your Graphic Designer will be able to advise you about the use of colour psychology. Auspicious use of colour can add impact and clarity to your message. However, when colour is used the wrong way, it can compromise your message and confuse your target audience. We’ll go into the specific subliminal messages and interpretations in the future, but if you need any advice before then – please give us a call. Papercut is your affordable graphic design studio with an environmental conscience in Canberra, Australia. 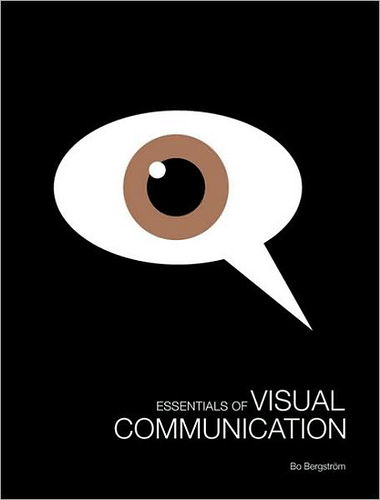 Graphic Designers communicate visual messages. This involves understanding both the customer’s message and the audience (demographic), then bridging the two in a visually compelling way. Your company logo is often a customer’s first impression of your business. A Graphic Designer crafts a visual branding presence for your company, with a consistent look and feel that portrays what your business stands for. Graphic Designers know what shapes, colours and logos will work in print or in other media. They enhance the look of websites, magazines and corporate stationery with eye-catching design, attracting customers to your business and providing brand recognition. Their ultimate goal is to produce an aesthetically pleasing design that is persuasive, memorable and trustworthy.